It’s not uncommon that our sister company Jaluch is asked to support companies with performance management, absences, grievances, disciplinaries and tribunal claims that soon become ‘hot potatoes’. This occurs because what is quickly uncovered is that there is a lack of the essential paperwork that needs to be in place to manage the employee effectively AND be legally compliant. If you have to defend an employee’s claim, it’s hard to convince an Employment Tribunal Judge that you managed your employee fairly and properly when you have clearly failed to issue them with the most critical of documents that the law requires – a contract of employment. The contract must be issued within 8 weeks. A permanent employee requests a change to hours/days but on starting the new contractual arrangement is never reissued with the appropriate paperwork or a new contract. 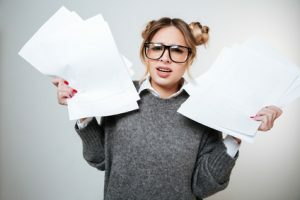 Contracts are not just about legal compliance as, if you value your money and sanity, then there are lots of clauses you can include in your contract of employment that will help you mange staff effectively and cost efficiently. From clauses relating to booking and taking holidays, disciplining of short service staff, requiring accrued holiday to be taken during notice periods, not paying staff sick pay who fail to communicate with you etc. There is lots that can be done to make things work smoothly and protect your business interests. By ‘employee’ this includes temps, permanent staff, zero hours staff etc. NO exceptions. Legal penalty for FAILING to do this is 2-4 weeks’ pay PER employee. Remember that if you don’t issue until the 8 week mark you are effectively employing your new recruit with no confidentiality clauses or other clauses that will protect your business in place. Wherever possible and sensible issue before or on day one of employment. The law sets out what clauses must be included in your Contract of Employment so a quick letter cobbled together after you have shut up shop for the day that covers the basics of pay, holidays and hours is NOT sufficient If you’re going to do the job, do it properly! Whilst the Contract is a legal requirement, you must be ‘crazy’ if you don’t use this document to also protect your business, given that you have to issue it anyway. Just issuing the bare legal document will ensure compliance, but simply won’t give you any advantages when it comes to effectively managing difficult or non-performing staff. Despite what we have said above, it is NOT a legal requirement to issue a Contract for Services to your associates, self-employed workers and contractors etc but again, why leave your business unprotected? So use the Contract for Services (note this is different to the Contract of Employment) with those who are sole traders/individuals who you don’t directly employ, in order to protect your business. The law does NOT exempt small employers, sole traders taking on their first worker or those in social enterprises or charities. NO employer is exempt whether you consider your arrangement with your new worker to be formal or informal. Note: Contract of Employment versus Written Statement of Particulars? The law requires you to issue a Written Statement to your employees. Usually this is wrapped up into what is commonly known as a Contract of Employment. You don’t need BOTH i.e. a contract and a written statement. But which Contract of Employment do I need? The next area of confusion is which contract of employment to issue. Different contracts for different people! Contract of Employment (Zero Hours) – Use this for any staff who do not have any set contractual hours and no obligation on you to give them any at all in a particular pay period but are still an employee. Contract For Services – for using with your contractors, self-employed workers, associates etc. Permanent Contract of Employment (Annualised Hours) – use this for any staff who work on an annualised hours basis i.e. a set number of hours per year with significant variations in weekly hours worked depending on seasonal or business needs. Graduate Programme Two Year Fixed Term Contract of Employment – many graduates are employed for an initial two-or three-year period. Use this contract which ensures they are not guaranteed work at the end of the two/three years. We also include tailored contracts in our membership for various sectors/industries including: retail, education/school/nursery, professional office, cleaners, garage, hotel, engineering, restaurant and charity shop. Remember: if someone loses the right to work in the UK (e.g. their visa or right to work runs out) then dismissing on grounds of statutory illegality is one of the 5 fair reasons for dismissal in the UK. Fines for continuing to employ people who no longer have the right to work in the UK used to be £10k per person but are now unlimited – being able to demonstrate that you issued a contract of employment when they did have the right to work here, will not protect you in law. If you are going to issue your new or existing employee with any paperwork, make sure that the contract of Employment is the key document you issue. Other documents are important, but this is the most critical one. And if you are not sure which contract to use or how to create one specifically for your needs, then why not use the option to add on 40 minutes of legal advice. Legal Documents don’t have to cost you an arm and a leg – the Docs Wizard team has truly created the most amazingly cost effective HR legal document option for you – so take advantage of this fantastic suite of template documents.